For the past several years we have prioritized eating well while living within a budget. “How do you afford to eat well?” is a question I hear quite frequently. What works for us might not be a one size fits all answer, but I’m happy to share what we do here. This is not going to be a “How to Feed a Family of Four on Ten Dollars a Day” kind of a blog post. We all have our spots where we are willing to spend a little money. We are pretty frugal in most areas and eating well is a priority for us therefore we are willing to spend a little more than some. But, we are still living within a budget so below you’ll see how. * I read a quote the other day that said, “If you are what you eat, I don’t want to be fast, cheap, and easy.” I like it! We save a lot of money when I go into the store with a plan. When I don’t plan, I will grab random things that don’t necessarily go together to make a meal. By sitting with my cookbooks and writing out a grocery list, we end up using the food we buy. There’s nothing worse than investing in good food and throwing it in the garbage can. Put in some leg work. There are some things you can do easily at home to cut costs and still eat just as well. Simple things such as soaking your own beans rather than buying canned or cutting up your romaine rather than buying it precut can save you quite a bit. I suggest taking a little time right when you get home from the grocery store to do the next step, prep. Some people I know set a few hours aside one day a week to prep meals. This can be a great idea for the busy cook. I also think it’s a great idea to take a little time to prep right after the grocery store. I can only speak for myself but I've gone to the store many times with great healthy intentions and purchased a ton of produce only to find myself throwing out untouched moldy food the next week. BUT, when I take the time after I get home from the store to cut up a good share of the veggies, we all find ourselves gobbling them up. When they are ready for you to eat, you will eat them. You have to be careful at those bulk stores. I think when we first got our membership we went a little crazy on some items that no one needs in bulk. But there are things we go through a lot of in this house and I’m thankful to save money on those items when I can. Some of the things I grabbed in bulk today include: organic spinach (hello!?! ), organic mixed greens, organic frozen berries, and Greek yogurt. Some other items we like to buy include: oats, quinoa, and organic dairy. Have you ever looked through your kitchen at 5:00PM and realized there’s nothing in the house for dinner? And what do you do? Go out to eat? Grab something on the go that’s expensive and pretty void in nutrition? To avoid that last minute crunch, I like to sometimes make a double batch for dinner – we eat one and freeze one. It’s also a special treat when I’m able to just pull something out of the freezer like a batch of chili and I don’t need to make it on the spot. I've already done the work once, so why do it twice? Learn when the sales are. I’m not a huge coupon girl. Yes, you can totally get a bunch of cheap “food” if you want to be an extreme couponer but most likely you’re going to find yourself buying Pop Tarts instead of green beans. No, thank you. (*Yes, I do use some coupons, but I’m selective. I only buy an item if it is something I would buy anyway.) What I do look for is when and where the sales are. There’s pretty much always a store in town that has great sales on their produce for the week. I also will walk through the aisles to see which items that I would buy anyway that happen to be on sale. I learned a while back that it’s no bargain to buy something on sale that you wouldn’t buy at regular price. One local store here releases an ad for the week and they switch over to the new ad on Wednesday. But a cool thing happens on Wednesdays, you can get the deals from both weeks. Yep, you’ll find me at that store most Wednesdays. As I write this, I realize this post could go on and on. There’s probably a lot more I could talk about: clean 15 and the dirty dozen, meatless protein options, gardening, buying in season etc. But I’ll stop with this. I believe that if you start: planning, putting in some leg work, prepping, using bulk wisely, make extra food to have on hand, and keep an eye on the sales – you’ll discover that you can afford to eat better on your current budget too! What are some of your favorite ways to eat well and save money? You'll notice the outside of my fridge has been beautifully decorated by two wonderful artists! Inside my refrigerator you'll find TONS of veggies and fruit. You may even find "a little spinach". Get it? My best tip for eating well is to have healthy things on hand that are ready to grab and eat. You'll see that I have tons of cut up veggies. I also have a container of chicken meatloaf muffins. Yum! I find myself making my favorite protein pancakes most mornings for breakfast. Therefore, I always have plenty of liquid egg whites and cottage cheese on hand. Oh, and the nasty looking thing hanging out in front of the cottage cheese is actually homemade pesto and not nasty at all. In the picture above you'll notice half and half. Here's the deal on that one: I've tried everything else in my coffee. This is what I like. I figure a few tablespoons of half and half in the morning won't kill me. I love almond milk in my smoothies. Without a doubt, homemade almond milk is the best. But it's summer and I feel too busy for almond milk making right now. So, store bought it is. We are not a soda drinking family. I love to keep some mineral water (bubble water, as my kids call it) in our refrigerator. Truthfully we don't go through mineral water very quickly either. It's a rare treat. We do have some purchased salad dressing but for the most part I like to make my own. There's ground turkey breast hiding in the back for my favorite turkey burgers. I keep tons of Asian and Indian spices in my refrigerator so I can easily spice up a meal. And, last but not least, I didn't clean for you. :) Maybe next time. Fraud. That is the word I used to describe myself to my friend in an email last week. I told her that I feel like a fraud having a blog about healthy eating while my eating has taken a turn for the worse. I explained how hard it is to post about nutritious foods while I'm finding myself eating garbage. When I wrote that, I was feeling a little hard on myself. I really don't believe that about myself. I recognize that my version of unhealthy eating is still better than the average American diet. Over the course of the past few months, I've let more and more junk into my diet. I've gained five pounds and I kind of think that stinks. I have to say that my weight is still relatively great - a few years ago I would have loved to weigh what I currently weigh. In fact, my current weight is the same as what I graduated from high school weighing - and I was kinda cute back then! I've had a few things that have not been working in my favor. 1. This darn never ending winter! Today is April, 20th. I woke up to snow. It makes me feel blue. 2. Bad cycle. 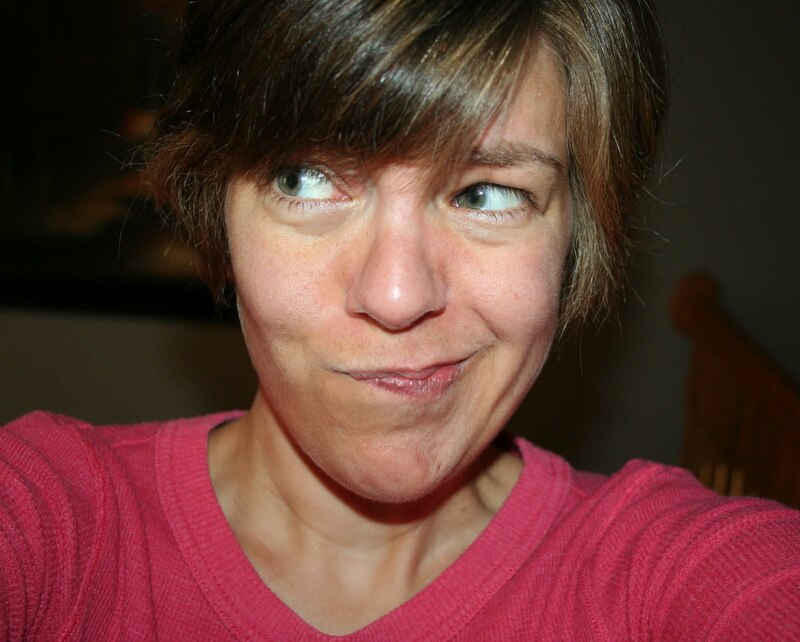 I'm down about eating lousy - so what do I do? Eat lousy. 3. Poor stress management. I've been eating my stress rather than working it off at the gym lately like usual. Sunday was my low point with food. We had some family stresses that day and my eating reflected how I was feeling. At one point I found myself feeling so full that I was sick to my stomach but still shoving in more snack mix and licorice nonetheless. I felt like a character on a mediocre made-for-tv movie about an eating disorder. I went to bed with a tummy ache. While I lied in bed, I made a decision. Enough was enough. The last few days have been much better! Love myself enough to MOVE ON. So what if I gained five pounds? It's hardly the end of the world. The sooner I stop fixating that and start making better choices the sooner I feel like "myself" again. Nope, I haven't felt like myself at all while I've been making crappy choices. I stumbled across something I had written about weight months ago. I wrote it at a time when I was feeling invincible. I was positive that I had figured out the food thing once and for all. I never posted it because it didn't feel appropriate. Somehow it does today. Hopefully it will be helpful to you too! This blog hasn't been and won't be dedicated to weight and the act of losing it. The reason why I am writing about this is because I'm sure that many people will stumble upon this blog in their journey to becoming a healthier weight. Thankfully, I never had a huge (so subjective) amount of weight that I needed to lose. Although, I was once 35 lbs heavier than my current weight and many times 20 lbs or more above my current weight. My body doesn't handle the extra weight well. My blood sugar is out of whack when I'm not taking care of myself. On that same note, my husband has also been heavier. His top weight was 40 lbs above his current weight. His cholesterol is screaming at him when his weight is not at a healthy number. For both of us, when our weight is not at a healthy number, we require medication. Somewhere along the line, we decided that making poor health choices and treating the side effects with medication was not a life we were willing to live. Sure, if we made good choices and then needed medication, why not. But to treat something we had control over, did not feel acceptable to us. In a quest to lose weight, we tried all of the diets out there. I am thankful that we are not playing the diet game anymore. We have moved on and would never go back to that. We wouldn't go back to a lifestyle that suggest that bacon is healthier than carrots because it has fewer carbs. We won't be on diets that suggest that a chemical laden ice cream sandwich is somehow better for you than an apple with almond butter since it's lower in calories. Here's what works for us. We choose to eat for HEALTH. We choose to exercise for FITNESS. When we decided to stop worrying about the number on the scale and to start eating for HEALTH, that's when our health (and weight) changed. If you choose to fill your body up with foods that nourish it because you want to be in the best health possible, having a great body is just a happy side effect. Don't get me wrong... I do keep an eye on my weight. I do that with a different lens than before. Now if I see the number creep up a bit: I know that I need to chill out on making healthier treats. I need to load more veggies onto my plate. I need to not have that glass of wine and go for a cup of tea instead. It's about balance. If you are trying to lose weight, let it go a bit. Instead, think of changes you can make for health. What is on your list? Maybe things like: stop drinking soda, eat smaller amounts more frequently, don't order fast food, cook more at home, try new veggies, cut back on sweets, etc. Then not all at once, but rather, one at a time ~ TACKLE THAT LIST. Pick one thing to change. When that change becomes so automatic that you forgot that you were working on it, pick another thing to tackle. This one is a winner. Literally. Call me goofy but I do this sometimes - we have family cook-offs. 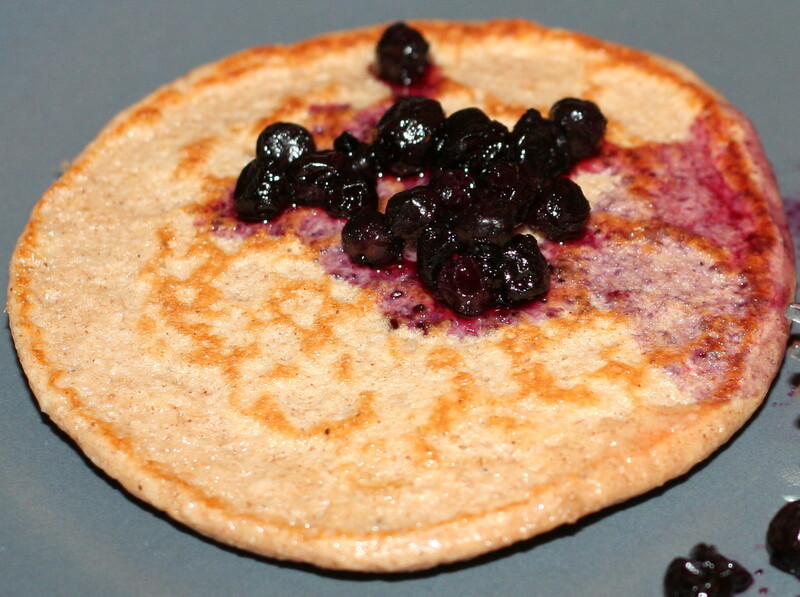 About a year ago I was looking for the best tasting and healthiest pancake recipe I could find. I looked around and found four different pancake recipes to try. I made them ALL and we tried them all. We had a unanimous winner and I'm about to share that recipe with you. I was shocked that this recipe was the winner. Believe it or not, it was by far the easiest and healthiest recipe of the bunch! I originally found the recipe on allrecipes.com. Thankfully I printed it off because it no longer exists on the site. I've looked several times. The original recipe credits the South Beach Diet. I want to give credit where it is due but unfortunately, I can't give a more specific link. We have changed this recipe and over the past year and have made it our own. So the recipe I am sharing with you is a variation on the one I once saw. ** Be sure to use plain liquid egg whites - NOT an Egg Beater type of product that contains seasonings that would be nasty in pancakes!! Pour the pancake batter into a bowl and let it sit for five minutes. Spray a nonstick skillet with cooking spray. Add batter and cook over medium heat until both sides are lightly browned. This is one generous serving. Multiply the recipe to serve the correct number of people. Immediately once it's blended I pour the mixture into a bowl and let it sit on the counter for about 5 minutes. This was not in the original recipe. I've tried to make the pancakes right away and they're too runny. I've also tried to skip the bowl and let them sit in the blender instead but because it thickens as it sits it was hard to get the batter out of the blender. I've blended 1/3 of a banana per serving into the batter. It makes a thinner pancake. The kids love mini-chocolate chips! Fruit is wonderful mixed in to the batter - especially blueberries. Walnuts make a nice addition. As an FYI: these pancakes are much denser and heartier than a typical pancake. They are definitely not the fluffy floury kind of pancake. To me, that's a good thing. Those flour filled pancakes tend to give me a tummy ache. Not these bad boys. ENJOY. 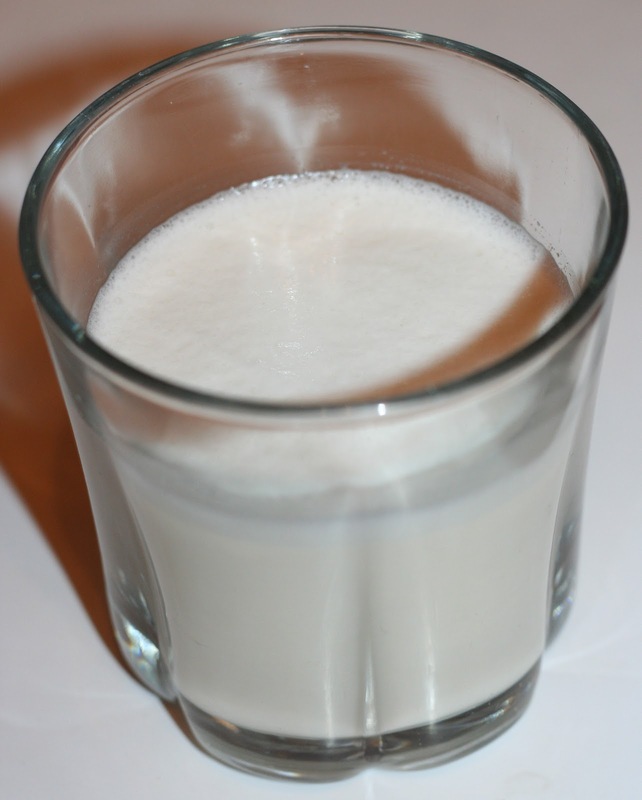 Homemade Almond Milk - easier than you think! 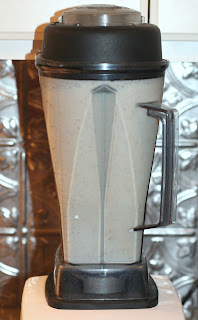 I am crazy about making homemade almond milk for our family. It is so good. Once you try homemade almond milk, I just dare you to even try to enjoy the store-bought stuff again. I'm sorry, but this recipe will ruin that for you. Our entire family loves this recipe, although I must say that Caleb might be the biggest fan. For a while, he was telling everyone that he loves to drink his "mama's milk" and that his "mama's milk" is the best milk ever. That turned a few heads and raised a few eyebrows... hehehe! Most friends I talk to are convinced that making almond milk would be difficult. That couldn't be farther from the truth. It's really very simple. If you do a little looking around online you'll find tons of almond milk recipes. After playing with many, the following is what we've altered to make our own and like best. Step 3: Blend raw almonds, water (fresh water - not the soak water), agave, o.j. concentrate, vanilla, and sea salt in blender for two minutes. 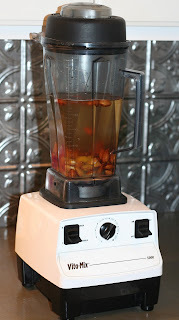 * I start the blender on low and gradually turn up the speed as the almonds begin to blend. Once I reach a high speed setting, I set my timer for 2 minutes. * This can be done a few different ways. I have nut milk bags that I purchased on Amazon. They are very inexpensive - about $3-4 a bag. They are reusable and easy to wash and take care of. 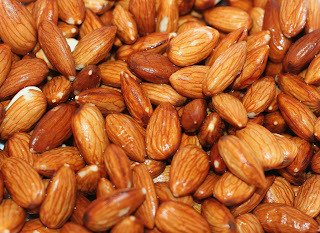 It makes it very simple to make homemade almond milk. 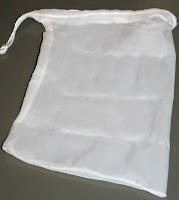 Note to crafty friends: I bet that you could make your own nut milk bag easily too! * If you want to try to make almond milk but you're not sure that you're "nut milk bag" excited yet, feel free to use a colander and a cheesecloth for straining. In both cases, you'll want to do a little squeezing to get all of the yummy milk into your container. You should just have some very dry pulp left once this step is completed. Ditch the pulp. while blending - starting to look like milk to me! Adjust the water to suit your tastes. You could use as little as 3 cups if you want it very creamy or as many as five cups if you want a much lighter taste. Play with the agave. Make it as sweet or unsweetened as you like. You can use almond extract rather than vanilla if you prefer. Orange juice concentrate is not necessary. It does not make the almond milk taste "orangey". As strange as this sounds, I think it really brings out the almond flavor even more. If you've been reading this blog for some time now, you already know that we love our spinach smoothies around here. If you've tried them, you're probably already addicted too. The kids love the taste. I love that it's a great way to get in a lot of nutrition quite effortlessly. Over time, we've all discovered our favorite spinach smoothie concoctions. I've shared Noah's favorite smoothie recipe and my spinach smoothie recipe. Here is Caleb's. It has both orange juice and yogurt in it which give it a nice tang. Enjoy! Blend all together. This makes one large glassful. * Our tip for purchasing yogurt: When looking for yogurt, make sure that you can read and understand all of the ingredients. Many yogurts are filled with some pretty funky stuff. 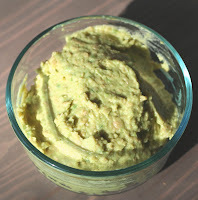 Hummole - Is it Hummus or is it Guacamole? I got this recipe quite some time ago from the co-op where I frequently shop - Valley Natural Foods in Burnsville, MN. Being in line with my other favorites, it is: fast, easy, delicious, healthy, and nutritious. 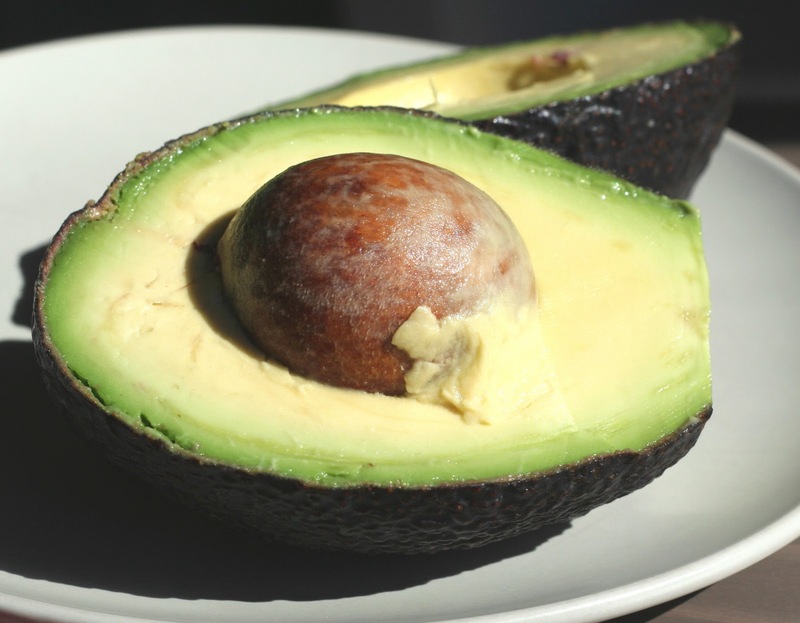 Hummole is packed with protein, fiber, and good fats. You may be wondering if it tastes more like hummus or guacamole. It is much closer in taste to guacamole than hummus. Think of it as Power Guacamole! Added fiber and protein are a benefit to this recipe over traditional guacamole. Avocado and Chickpeas - the best of both worlds! Blend all in food processor until creamy. Makes a great veggie dip. While I do love this recipe as is, feel free to change it up a bit. Here are a few things I have done to this recipe: add a little sea salt, switch out the lemon juice for lime juice, add a little evoo, use a little chipotle for a smokey flavor. What is Caleb eating in the bowl? CHILI! Be sure to check out that recipe too! We LOVE our spinach smoothies!